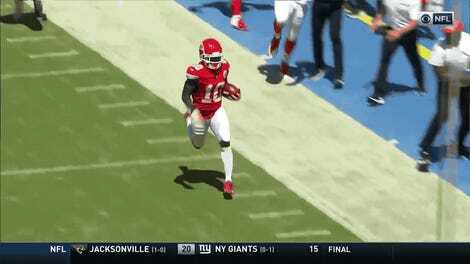 Two Tennessee Titans safeties—All-Pro Kevin Byard and fifth-round rookie Dane Cruikshank—combined to shock the Texans on their team’s opening drive, connecting on a 66-yard pass for the first fake punt touchdown of the season. 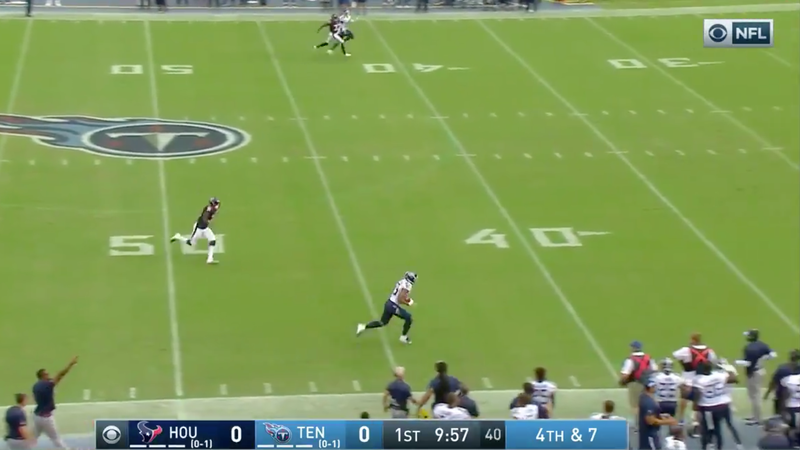 On fourth-and-six, Byard took the direct snap from punt formation on the Titans’ own 34, and the lefty immediately lobbed up a lazy ball for a wide-open Cruikshank, who sped down the sideline and made Texans running back Tyler Ervin look very silly on an attempted tackle. Odds are even that Byard ends up with better stats than Blaine Gabbert.